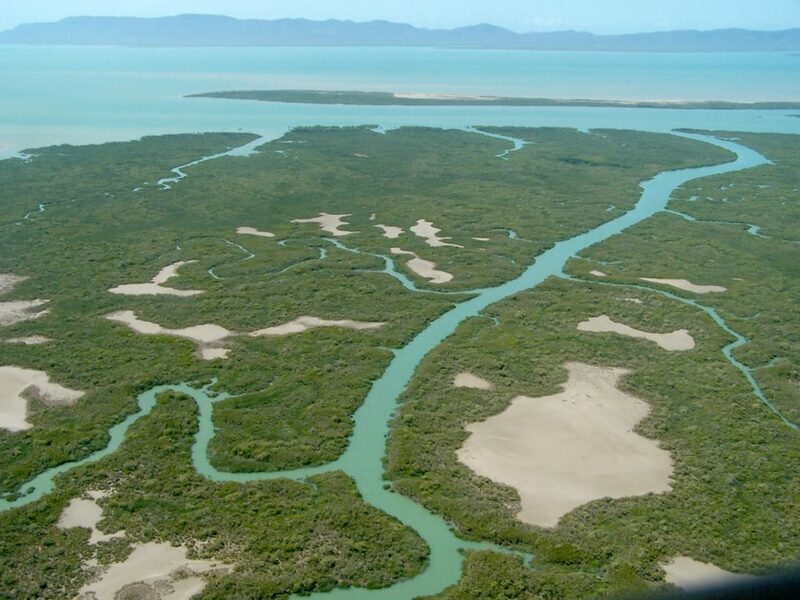 The Shoalwater and Corio Bays Ramsar site stretches along approximately 330 kilometres of coastline between Rockhampton and Mackay on the central Queensland coast. This site comprises three separate sections – Broome Head, Shoalwater Bay and Corio Bay. Most of the Shoalwater Bay section is within the Shoalwater Bay Training Area (SWBTA), Australian Government Department of Defence. The Ramsar site excludes the terrestrial components of the major three islands, Townshend, Leicester and Akens Islands within the SWBTA. 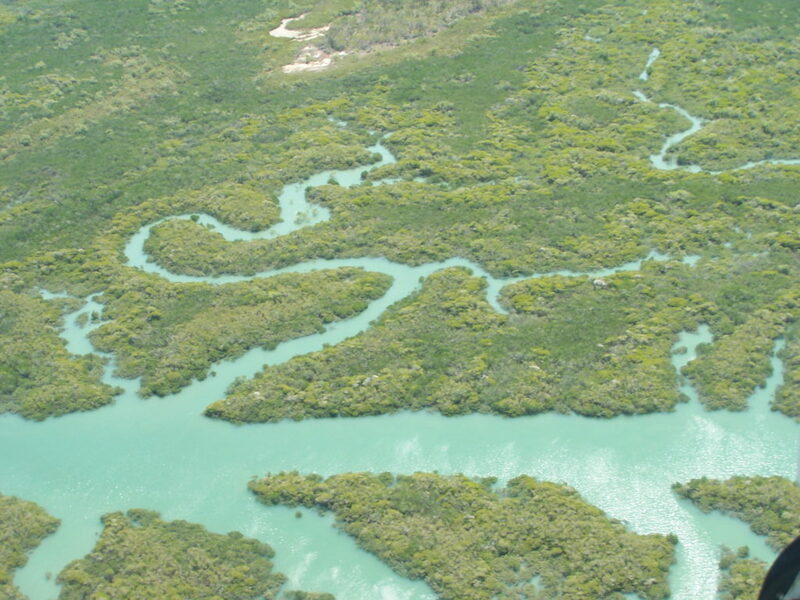 The Ramsar site represents the largest ‘wilderness’ area along the central Queensland coast encompassing over 200,000 hectares of near undisturbed wetland ecosystems. There are also three wetlands listed under the Directory of Important Wetlands in Australia which are found mostly within the Ramsar area. These are Dismal Swamp – Water Park Creek, Island Head Creek – Port Clinton Area and Shoalwater Bay. The site also contains a Dugong Protected Area and the Corio Bay Declared Fish Habitat Area – Management A. For further information on the values of the Ramsar site see the latest Ramsar Information Sheet (RIS) and the Ecological Character Description (ECD). Aerial photograph of the Ramsar site. Image courtesy of the Queensland Government. The Shoalwater and Corio Bays Area Ramsar site was originally listed in 1996 meeting six of the nine Ramsar selection criteria. Studies completed since, indicate that a further two criteria are met bringing the total to eight. Below are succinct descriptions of the eight criteria that the Shoalwater and Corio Bays Area Ramsar site meet (for full details please read the RIS). Wetland contains representative, rare or unique examples of a natural or near-natural wetland type found within the appropriate biogeographic region. Aerial photograph of Shoalwater Bay. Image courtesy of the Queensland Government. The site contains 22 Ramsar wetland types in a near-natural and relatively undisturbed state. These include estuarine wetlands, intertidal marshes and forests, shallow marine waters, extensive seagrass beds, and freshwater shrub-dominated wetlands. Of particular significance, is the presence of freshwater peat swamps which are extremely rare in the bioregion and Australia as a whole. Wetland supports vulnerable, endangered or critically endangered species or threatened ecological communities. 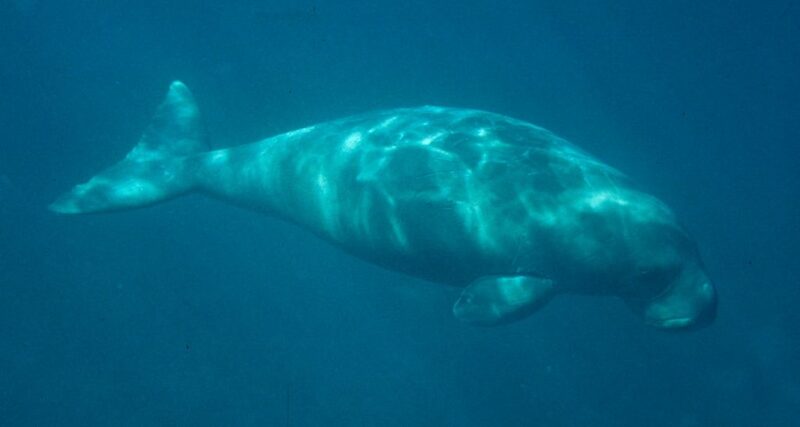 Image of a dugong in the Shoalwater Bay area. Courtesy of the Queensland Government. The site supports populations of threatened flora and fauna species. These species include threatened plants such as the Lesser Swamp Orchid (Phaius australis) and the Byfield Matchstick (Comesperma oblongatum). 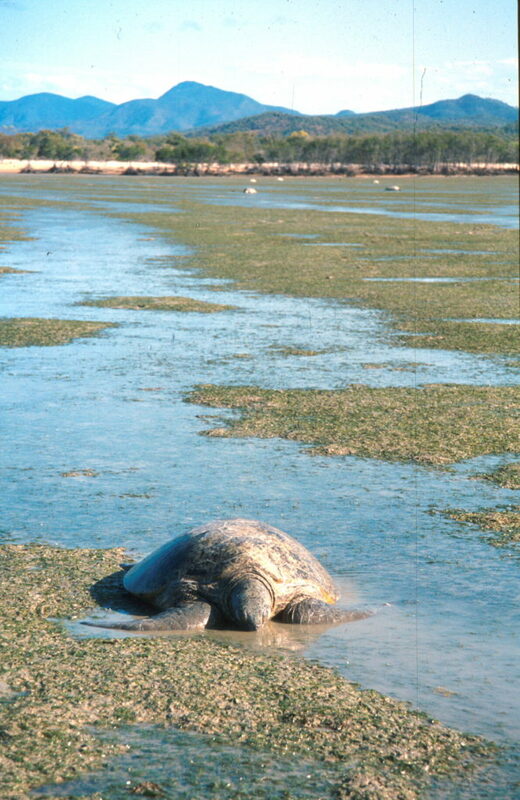 The extensive marine wetlands also support populations of marine megafauna such as green turtles (Chelonia mydas), loggerhead turtles (Caretta caretta), hawksbill turtles (Eretmochelys imbricata), flatback turtles (Natator depressus), Indo-Pacific humpback dolphins (Sousa chinensis), Australian snubfin dolphin (Orcaella heinsohni) and dugong (Dugong dugon). The site is particularly notable for supporting the largest feeding population of green turtles on the east Australian coast and the largest habitat for dugong in the Mackay-Capricorn region of the Great Barrier Reef. In the freshwater wetlands of the Ramsar site, populations of honey blue eye (Pseudomugil mellis) are found and water mouse (Xeromys myoides) are known to occur within mangroves. Threatened species of waterbirds, such as the eastern curlew (Numenius madagascariensis), curlew sandpiper (Calidris ferruginea) and great knot (Calidris tenuirostris) are also be found on the site’s extensive tidal wetlands. Wetland supports populations of plants and/or animal species important for maintaining the biological diversity of a particular biogeographic region. A rich diversity of fauna is found within the Ramsar site including some 445 fish, 22 frog, 60 reptile and 42 mammal species. Birdlife on the site is particularly diverse and includes some 265 species of bird representing over 30% of Australia’s bird fauna in less than 1% of the continent’s area. Flora is also highly diverse with approximately 908 species having been recorded on the site including eight species of seagrass and 13 species of mangrove. Wetland supports plants and/or animal species at a critical stage in their life cycles or provides refuge during adverse conditions. 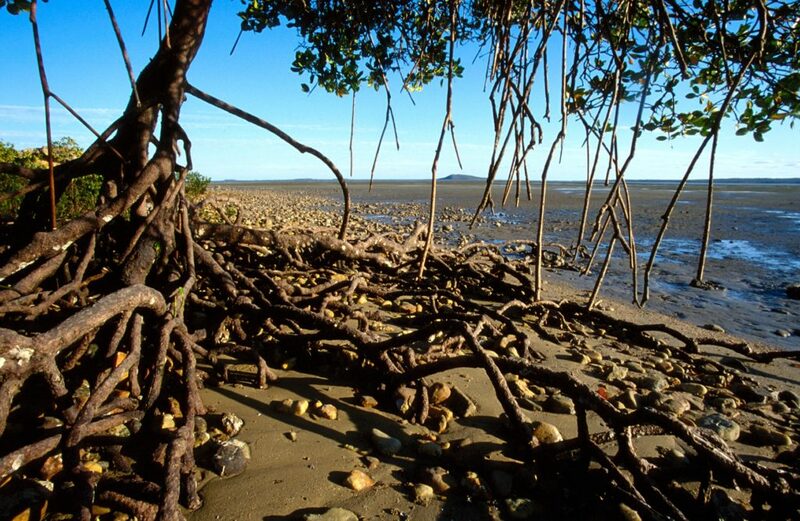 Mangrove environments are essential in wetland environments. Image courtesy of the Queensland Government. The site provides habitat for critical life stages of many species of fauna and flora. This includes breeding, feeding and roosting sites for 77 species of waterbirds of which 26 are migratory species. This includes the largest Australian Pelican (Pelecanus conspicillatus) rookery in the Great Barrier Reef located on Akens Island and Pelican Rock. The site also supports nesting sites for flatback turtles and the entire lifecycle of frog and freshwater fish species including the threatened honey blue eye. Wetland regularly supports 20,000 or more waterbirds. Shorebirds and terns roosting on beach. Image courtesy of Roger Jaensch. The extensive wetlands of the site regularly support over 20,000 waterbirds. So much so, that the site is listed as one of the Australian network sites for the East Asian-Australasian Flyway Partnership. Wetland regularly supports 1% of the individuals in a population of one species or subspecies of waterbird. 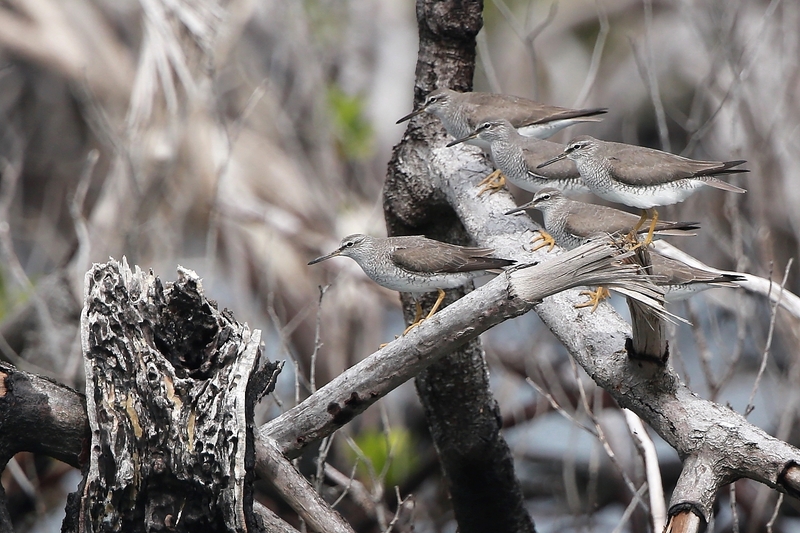 Grey-Tailed Tattlers. Image courtesy of Andrew McDougall. Bar-tailed Godwit. Image courtesy of Roger Jaensch and Carpentaria Land Council Aboriginal Corporation. Eastern Curlew. Image courtesy of Roger Jaensch. 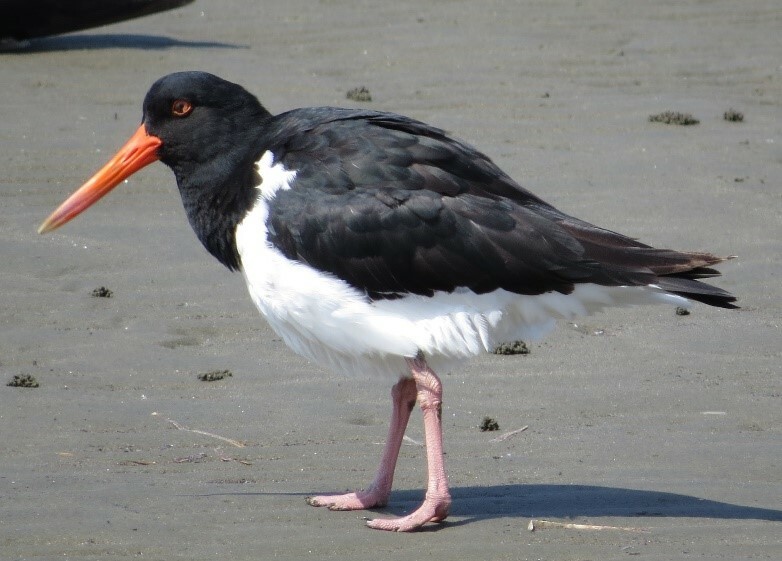 Australian Pied Oystercatcher. Image courtesy of Roger Jaesch. 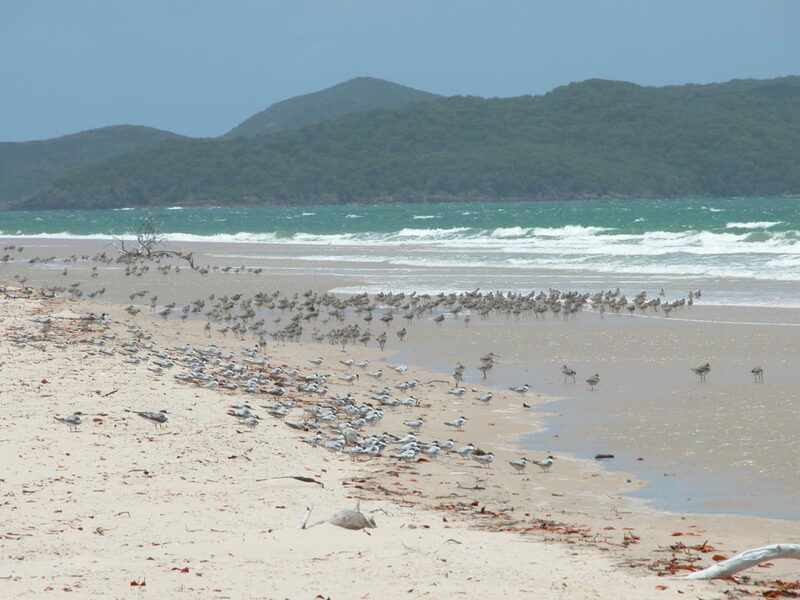 Six species of shorebird species with over 1% of their population are represented at the Ramsar site. There are six species of waterbirds with over 1% of their global population represented at the site. 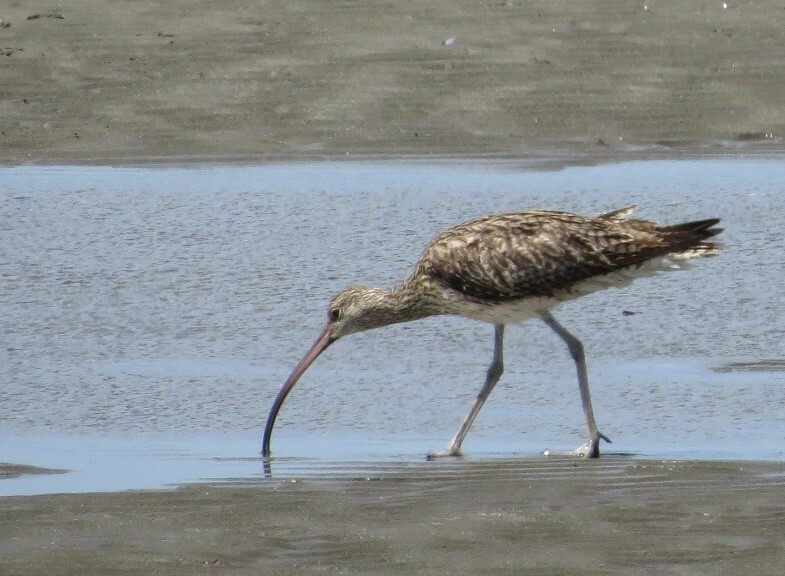 These are: the eastern curlew (Numenius madagascariensis), grey-tailed tattler (Heteroscelus brevipes), bar-tailed godwit (Limosa lapponica), whimbrel (Numenius phaeopus), terek sandpiper (Xenus cinereus) and the Australian pied oystercatcher (Haematopus longirostris). There are also significant numbers of beach stone-curlew (Esacus magnirostris) present at the site. 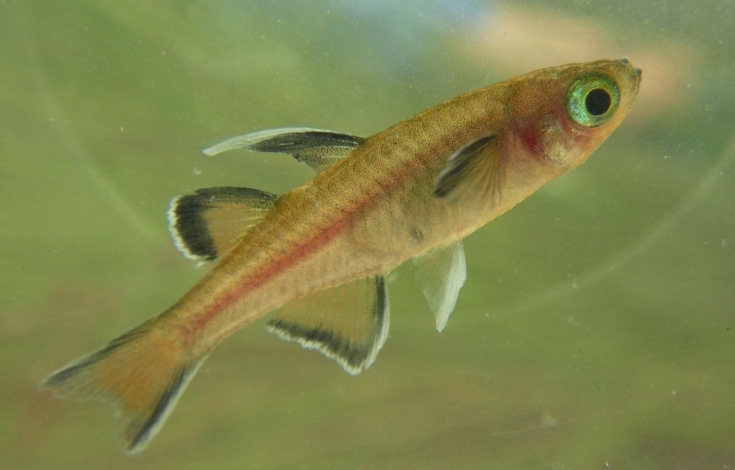 Wetland supports significant proportion of indigenous fish subspecies, species or families, life-history stages, species interactions and/or populations that are representative of wetland benefits and/or values and therefore contributes to global biodiversity. 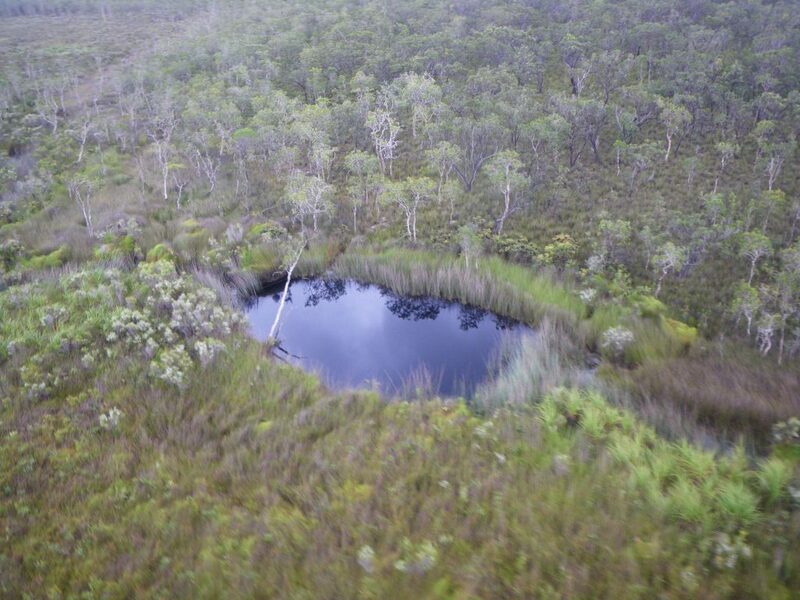 Freshwater pools in peat swamps provide habitat for honey blue eye. 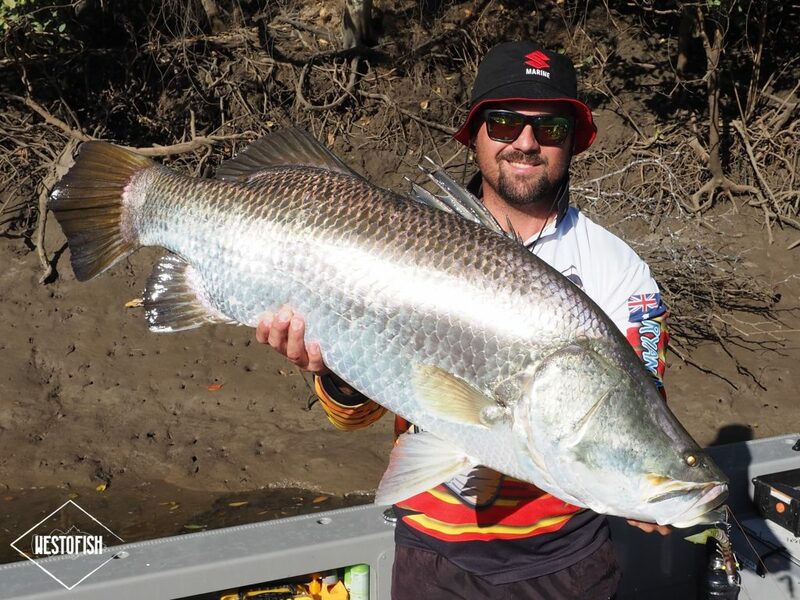 The site is rich in fish species with some 445 recorded species including 428 marine and estuarine species (12% of Australia’s marine fish fauna) and 17 freshwater fish species. This includes the threatened honey blue eye which is only found at a few other sites along the south-east Queensland coast. Wetland is important source of food for fishes, spawning ground, nursery and/or migration path on which fish stocks depend. The site contains large areas of near-undisturbed fish habitat which support fish diversity and nursery sites, these habitats include extensive seagrass, mangroves, saltmarshes and rocky reefs. The Corio Bay component of the site incorporates the Corio Bay Declared Fish Habitat Area (FHA) which covers an area of approximately 4,652 hectares and contains a large diversity of fish species. The large area and near-unmodified condition of the site, combined with its location between the tropics and subtropics, has produced a diversity of habitats and conditions capable of supporting a wide variety of fauna. The near fully vegetated catchment receives no impact from urban development meaning that marine habitats within the site can support extensive habitat for marine fauna. This includes four species of turtle and the largest population of dugong in the southern Great Barrier Reef. Also found in the marine habitats are three cetaceans listed as priority management, these are: the humpback whale (Megaptera novaeangliae), Australian snubfin dolphin (Orcaella heinsohni) and Indo-Pacific humpback dolphin (Sousa chinensis). Another faunal element of note is a small population of estuarine crocodile (Crocodylus porosus). Turtles basking on exposed seagrass bed. Image courtesy of the Queensland Government. 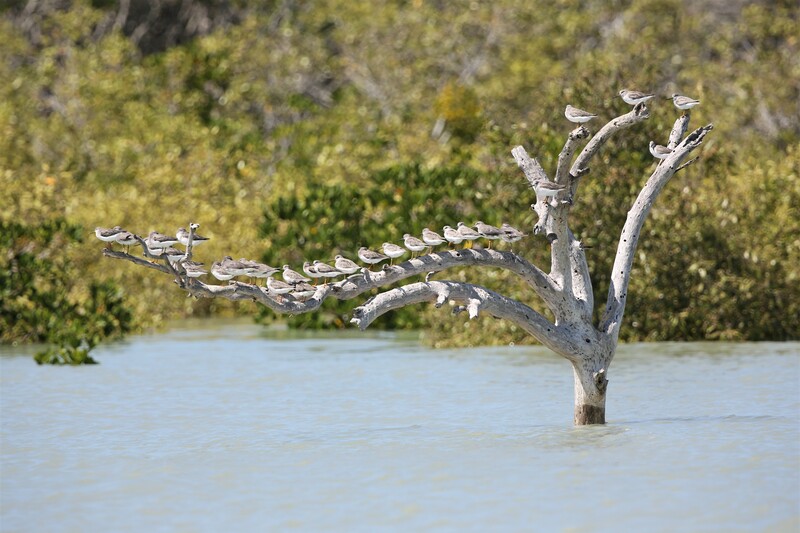 The expansive mangroves, sandflats and mudflats support high populations of local and migratory shorebirds. This includes 16 species that breed in the Northern Hemisphere and six which exceed their 1% population threshold at the site (see Criterion 6). 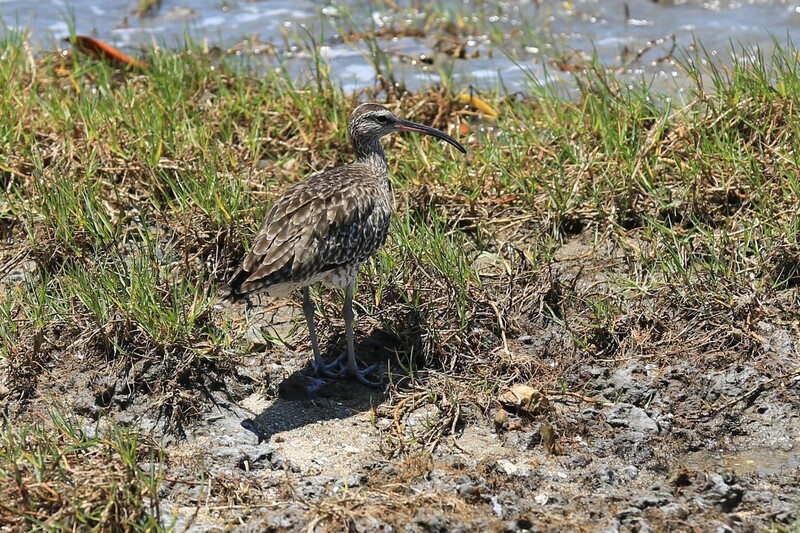 Some shorebirds also breed at the site including Australia pied oystercatcher and beach stone-curlew. The Ramsar site supports a complex and diverse flora and associated vegetation types. This includes approximately 13,000 hectares of seagrass beds which provide grazing habitat for dugongs and green turtles. Over 21,000 hectares of mangroves provide habitat for juvenile fish, molluscs and crustaceans and roosting and feeding sites for birds. All marine plants in the site are protected under the Fisheries Act 1994 and all terrestrial plants are protected under the Nature Conservation Act 1992. In addition, there are six plant species and a number of ecological communities listed as nationally threatened under the Environment Protection and Biodiversity Conservation (EPBC) Act found in the surrounding SWBTA, one of the plant species (Cyca ophiolitica) is endangered. There also a number of plant species near the limit of their range, including the most northern distributions of swamp mahogany Eucalyptus robusta and small leaved geebung Persoonia virgata. 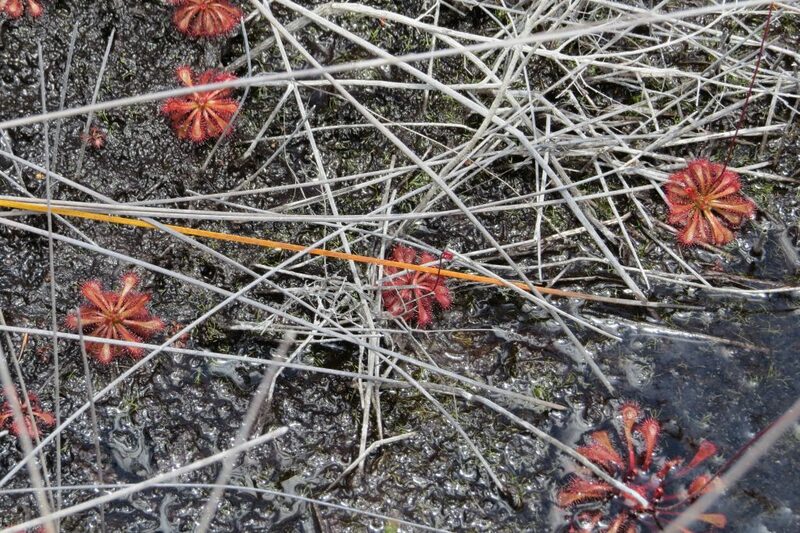 Sundew (Drosera) at Dismal Swamp. Image courtesy of Roger Jaensch. The Darumbal People are the Traditional Owners of the Ramsar site and have had limited access to the region since deposition. Archaeological studies within the site have uncovered middens, scatters of stone tools and campsites amongst dune fields. Darumbal People retain a strong connection to the Indigenous cultural values of the area. In terms of European heritage, early European maritime explorer Matthew Flinders made landfall at Shoalwater Bay. By the early 1900s, there were 21 pastoral dwellings set up within the surrounding Shoalwater Bay Training Area (SWBTA) with a few surviving to the present day. The Shoalwater Bay section of the site was purchased for Defence training in 1965 and is still in use today. Tourism and recreational use of the Ramsar site is relatively low in the Shoalwater Bay section of the site as the SWBTA is restricted to the public. The Corio Bay section is open to recreational use and can be accessed through the Sandy Point section of Byfield National Park. Commercial fishing is also relatively low within the site due to restrictions from the SWBTA and restrictions placed on fishing such as prohibition of trawling. Due to the relatively undisturbed nature of the site, the site may act as an ideal benchmark for scientific research.